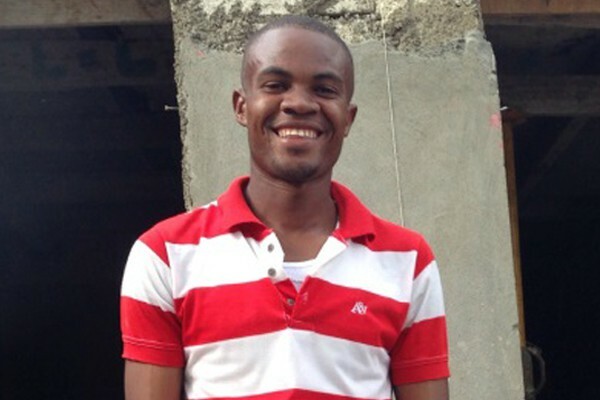 Jean Vanel is 27 years old and has been working in the construction sector for 10 years. Over the past year he has completed four earthquake-resistant structures with J/P HRO and Build Change and is on the verge of completing his biggest seismic retrofit project yet. “When I first started working on these projects, I thought the engineers were crazy. It took me a while to properly understand why they were asking me to do the things they did. Now I see that everything I do helps the house to be stronger in an earthquake,” said Jean Vanel. He enjoys that that homeowners are retrofitting their whole house instead of working on small parts. Many projects stall or must be delayed when homeowners cannot afford to finish a project. Jean Vanel Saintius works in the Rue Victoire area of Delmas 32 and is currently retrofitting Esterlin Louicius’s house, which will provide safe housing for 25 members of their extended family. Jean Vanel Saintius was awarded his skill certification in steel detailing in August 2013 and is receiving continued on-the-job training and support that will enable him to continue expanding his skill set in the future.